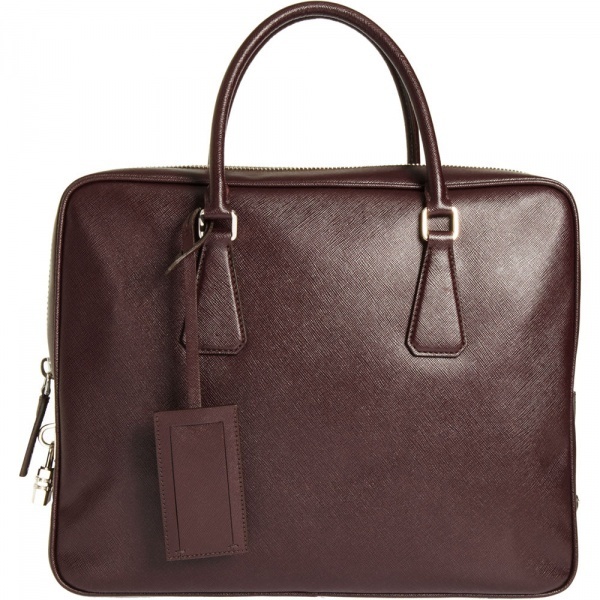 Keep things minimal, simple, and easy when you’re on the go with this small travel briefcase by Prada. 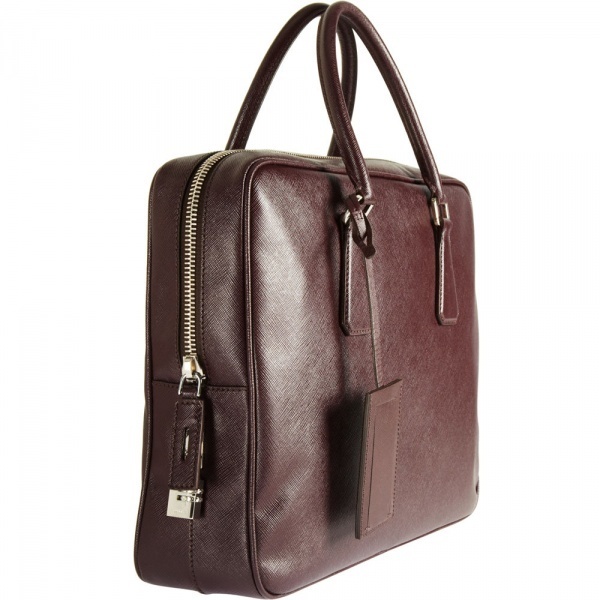 Made of a rich wine colored leather, the interior is compartmentalized to keep your smartphone, your work notes, your organizer, and whatever else you choose to carry close at hand. Available at Barneys. This entry was posted in Accessories, Misc. Bookmark the permalink.